We are using the Preview Before Submit widget, and are very happy with it. However, when we print the data for the customer's records - no matter what template is selected, or what color background is chosen - it prints the text on a light grey field, wasting toner. 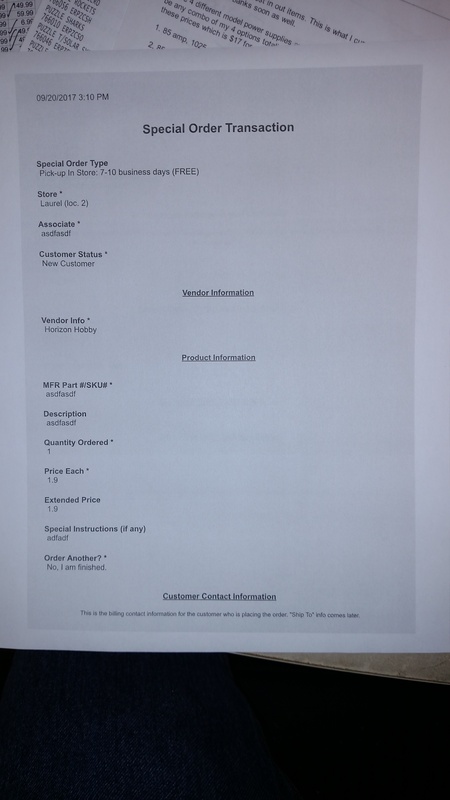 Photo of printed document attached. Please advise how this can be altered. Hello Mike, we can't see the screenshot you included on your post. Please reply to your thread (not via email) by going to this link, then post your screenshot from there. We would better understand what you meant by "it prints the text on a light grey field" if you could share the screenshot again. I did not include a screen shot, because it looks exactly as you saw. The form on the screen, looks exactly as it should: black text on a plain white background. However, when I press print the resulting paper document is black text on a grey background. I had attempted to attach a photograph of the printed document. I will attempt to attach it again. If you do a test print afterwards and it still shows with a light gray background, would it be possible for you to print it using a different printer (just to further isolate other possible variables)? Kindly keep us posted.